I for one love dim sum and I can eat it any time of the day unlike certain people who only eat it in the first half of the day. There’s just something about partaking of the variety of dim sum items that excites me every time I go for a dim sum lunch. 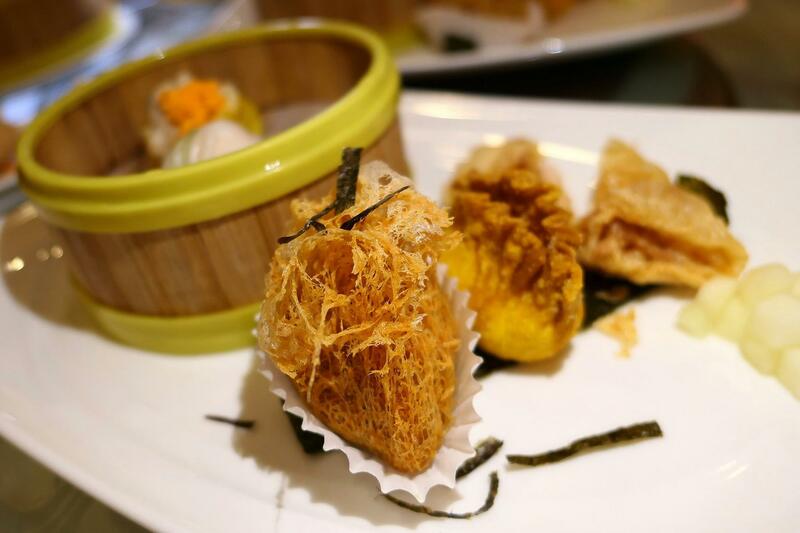 There’s even more reason for me to go for dim sum as from now until 29 August 2017, Dynasty Restaurant in Renaissance Kuala Lumpur Hotel is offering their dim sum spread at half price (ie. 50% off!) from Monday to Friday! 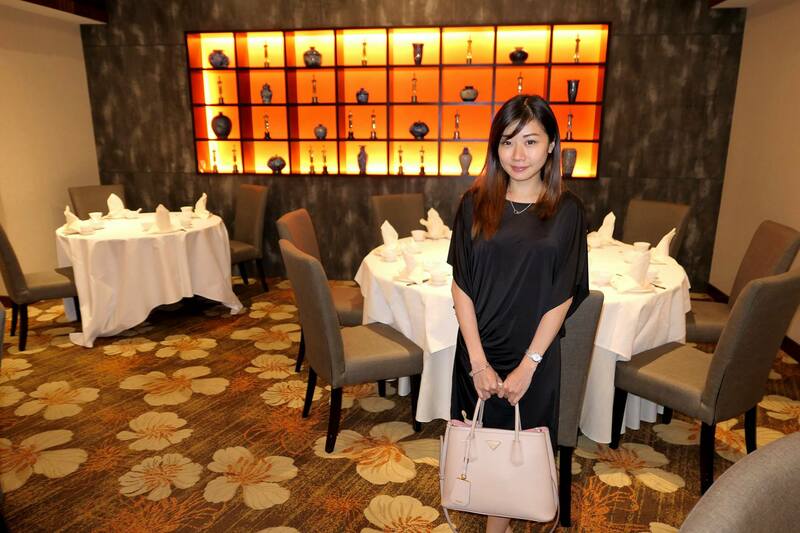 The restaurant is also offering a special “create your own” 4-course menu at RM49.90nett per person for lunch and dinner. 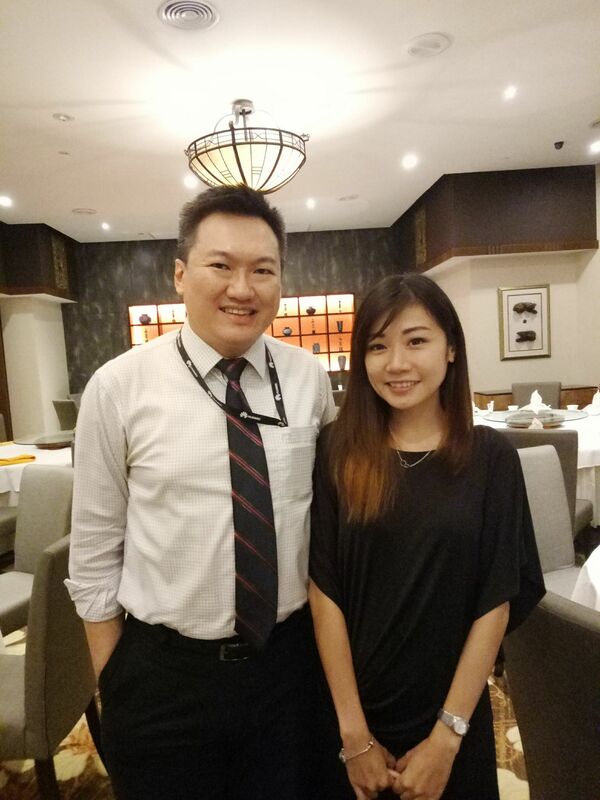 You get to select one soup, one fish/ poultry, one noodle, and one dessert, and you can also opt to add-on Executive Sous Chef Kok Chee Kin’s line-up of signature dishes at special discounted prices! Really quite a bargain if you ask me! 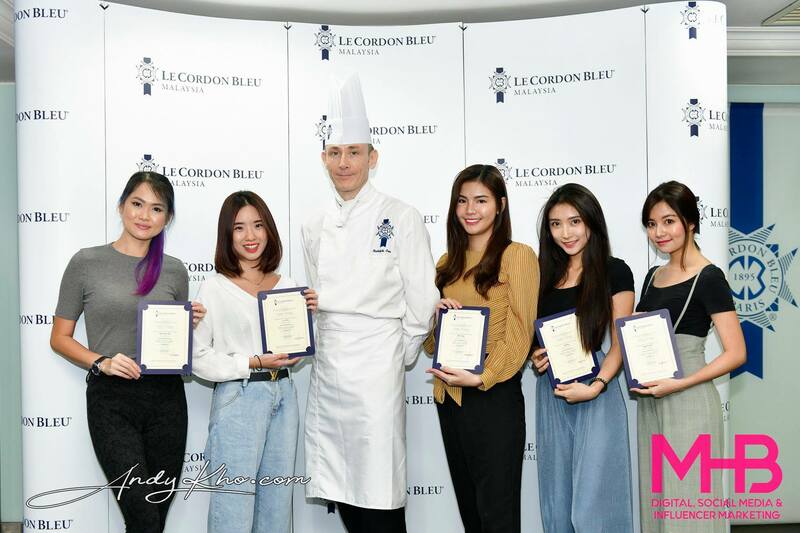 The signature dishes that Chef Kin has prepared to accompany your Dim Sum meal or Set Menu are Mongolian lamb chop, Roasted chicken with fragrant minced garlic, Braised oxtail with garlic in casserole, Beef tenderloin with choice of sauces, Pan seared stuffed scallop, Sautéed shelled prawns with salted egg yolk and Peking duck. The full list of dishes in the Fantastic Feast menu and signature add-on dishes are at the bottom half of this story. 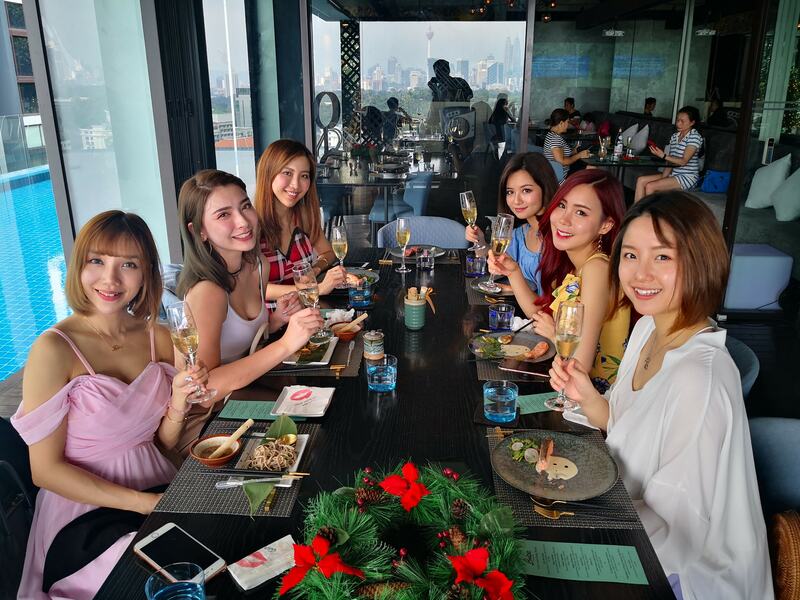 For now, let’s have a look at what Wei Leng and I got to try during our recent visit to taste both the dim sum spread and the Fantastic Feast. Can’t decide what to have? Why not have five (5) different types all on one platter? 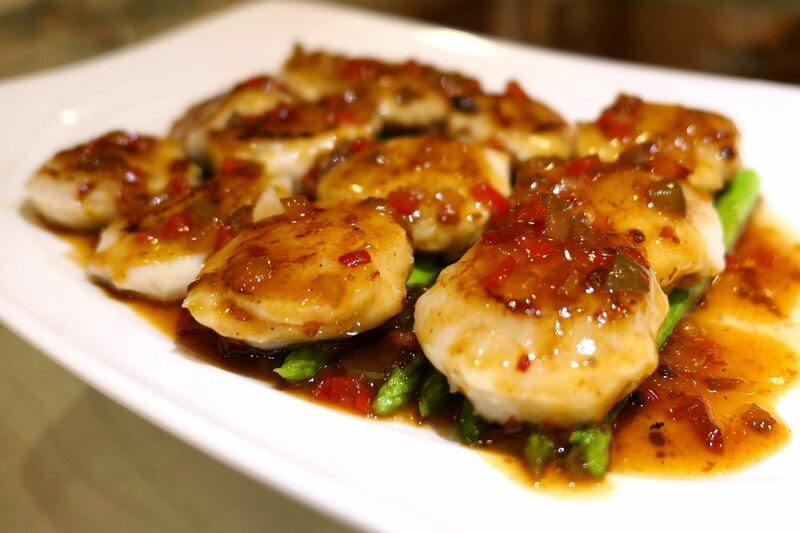 One reason to eat this – SCALLOPS! 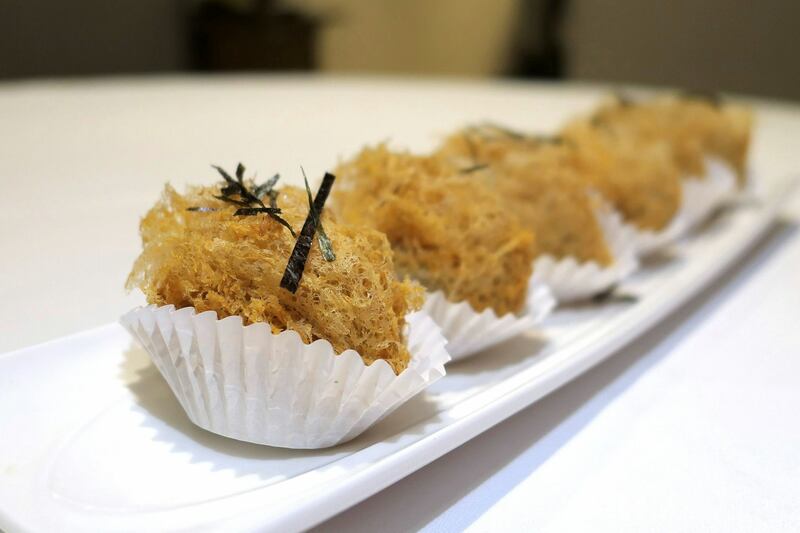 The addition of bonito flakes was a surprise though, making this a sort of fusion Chinese/ Japanese dim sum. I was pretty impressed by the thin translucent skin! I quite dislike places which have thick and chewy dim sum skins. 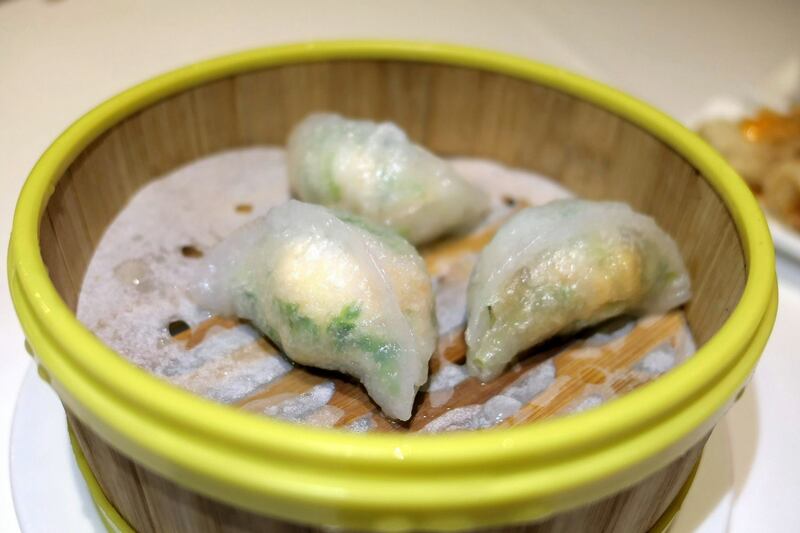 One of my all time favourite dim sum items. Crispy and overall pretty decent here despite it being a pork free restaurant. I loved this one. 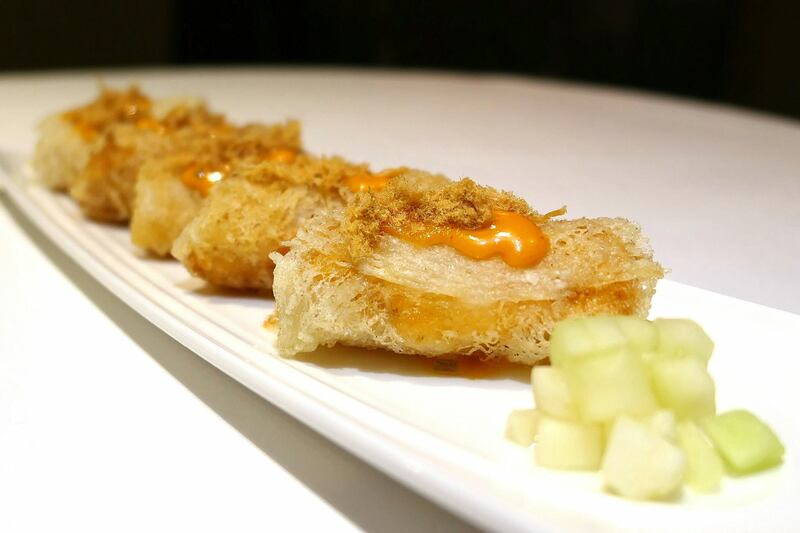 Then again I’m quite biased towards deep-fried dim sum. 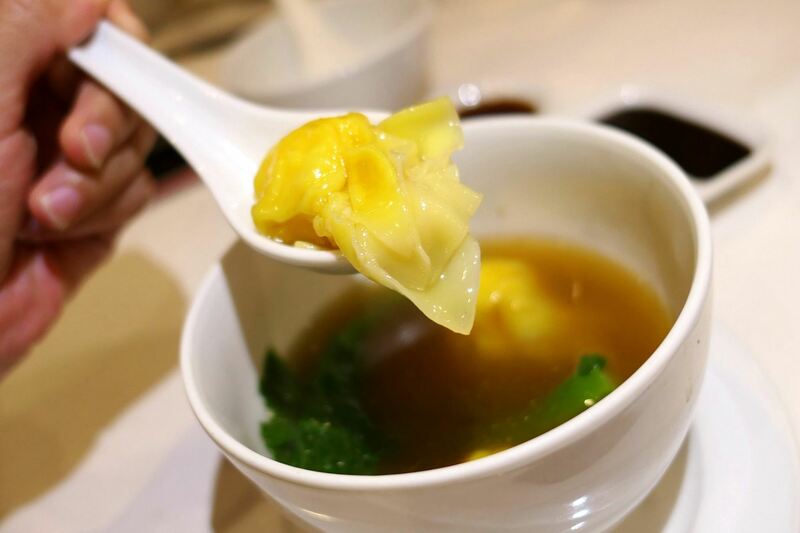 This was a very hearty and heart-warming soup indeed with its savoury and sweet flavours and generous number of wontons. I love a nicely cooked duck and quite remarkably this was my first time eating it stir-fried. 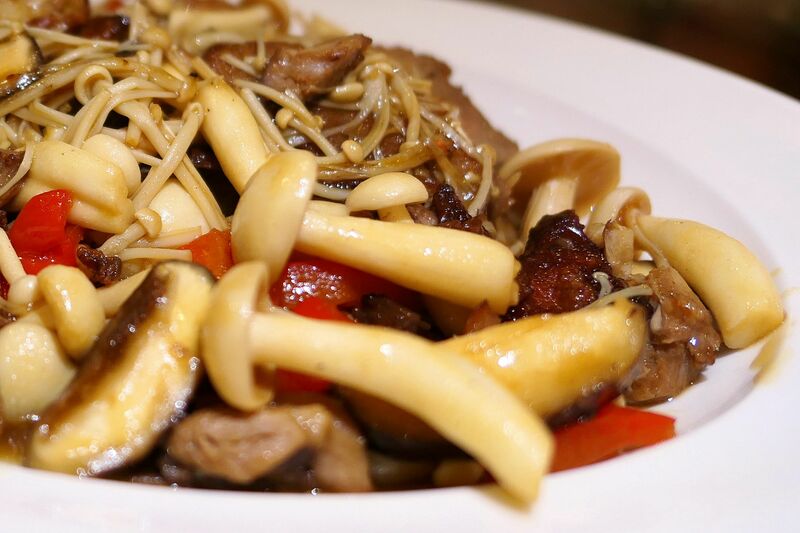 A typical Chinese style dish that was topped with a mountain of mushrooms! This was actually a pretty well-balanced dish, with lots of earthy flavours coming from the duck and mushrooms, coupled with the richness of the sesame oil and the sweetness/ umaminess of the oyster sauce. Another dish that had a lot of mushrooms (enoki only this time) was the noodles, this time in combination with chicken. 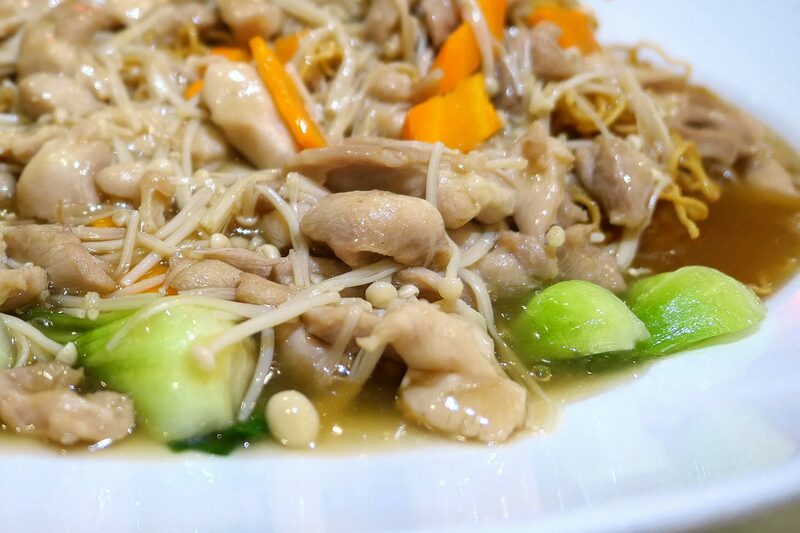 In fact there was so much mushrooms and chicken that we had to double-check to ensure that this was the noodle dish! 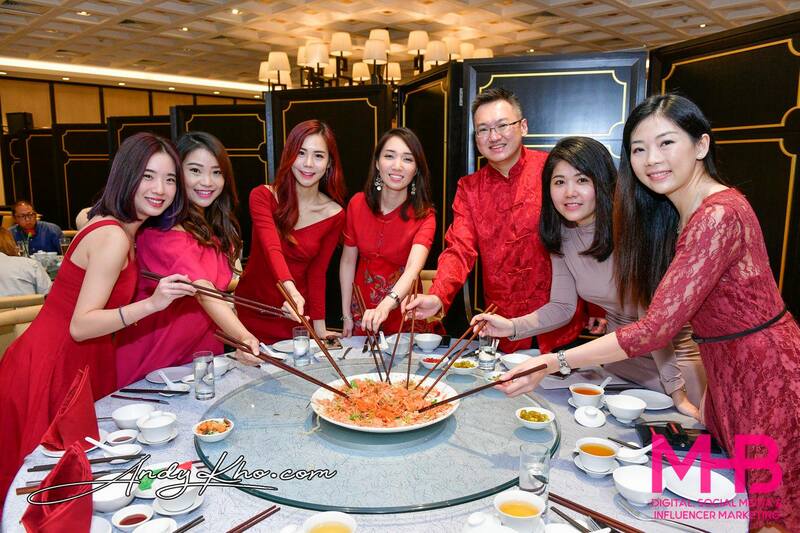 This dish was an add-on signature dish that during the promotion only costs RM48.00 instead of RM88.00! Very worth it indeed! 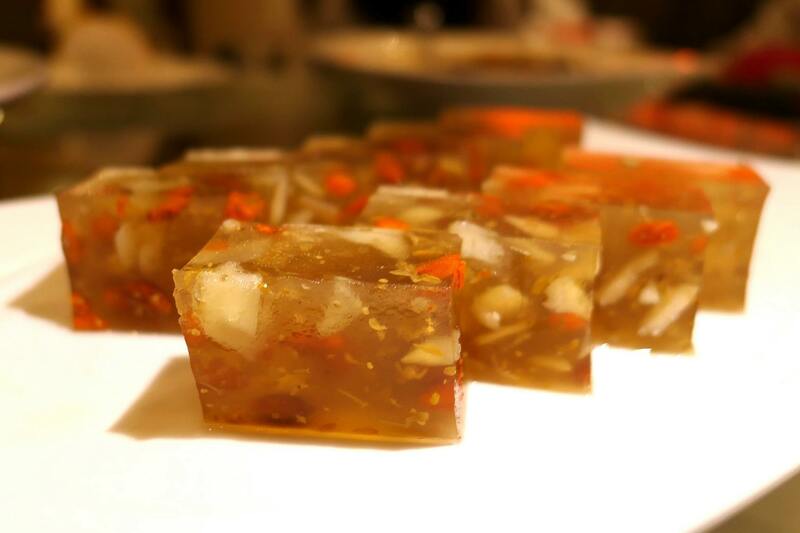 A signature dessert at Dynasty Hotel that never fails to provide a sweet end to the meal. Below is the full Fantastic Feast menu. * The ‘Fantastic Feast’ is not valid with any other voucher, special promotions, membership card benefits or other discounts. Open daily for lunch from 12.00noon to 2.30pm and dinner from 6.30pm to 10.30pm. 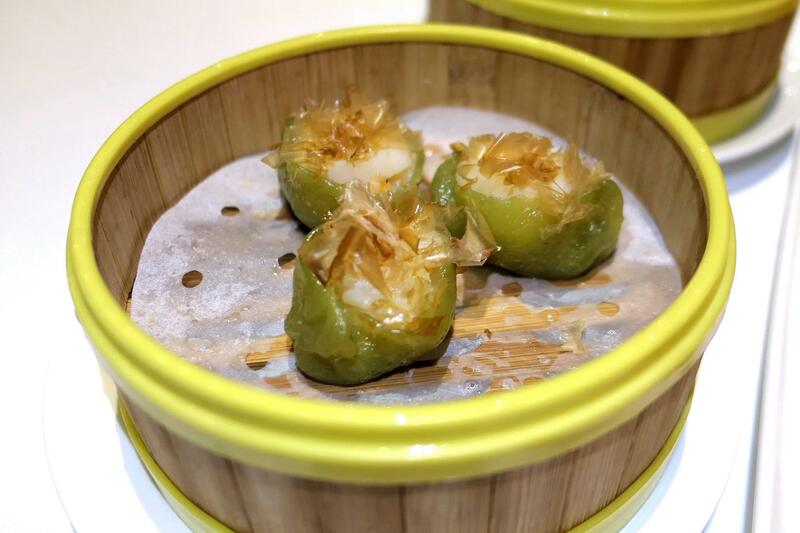 Dim Sum breakfast is served from 9.30am to 2.30pm on Sundays and Public Holidays, dinner hours are 6.30pm to 10.30pm.